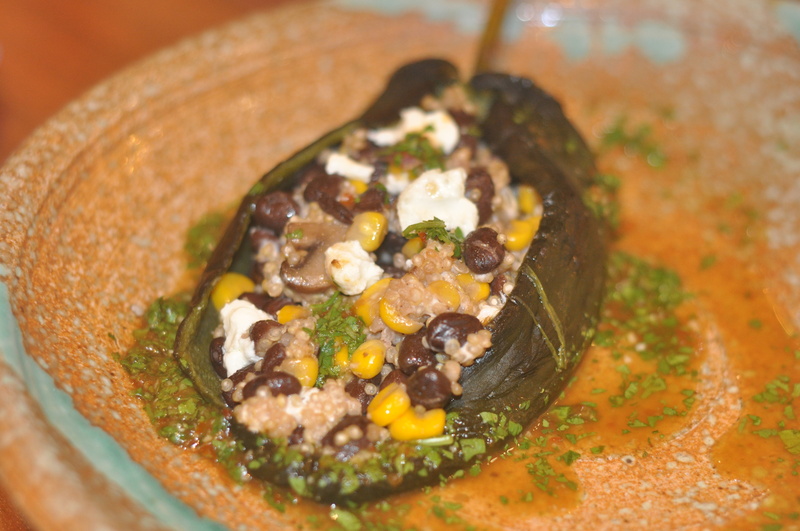 I was still thinking about Betsy’s Roasted Red Peppers, and whether they could be embellished in a way that would transform them from side dish to main event, when I came across a recipe for Stuffed Poblano Peppers in Chipotle Sauce. 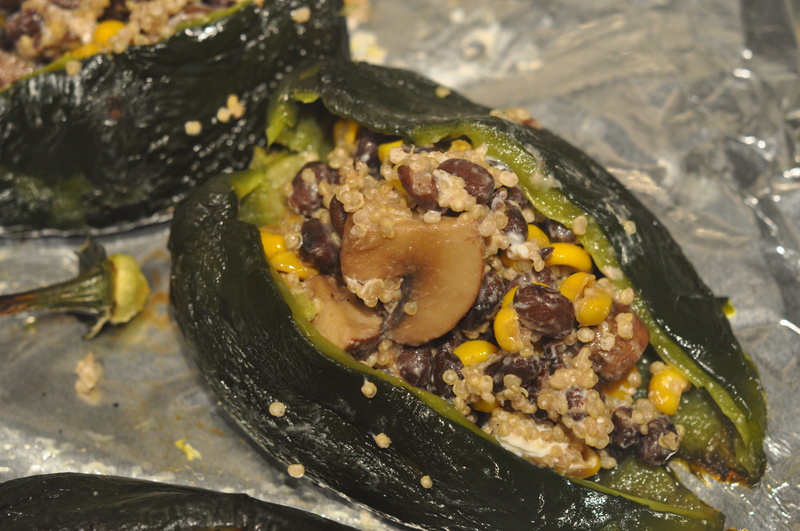 “Stuffed with quinoa, black beans, mushrooms, and corn, these peppers make a satisfying vegetarian main course,” promised the writers of Power Foods, my new cookbook from the editors of Martha Stewart’s Whole Living magazine. “I’m always skeptical,” he replied. Which is true. No matter how easily bored he is by dishes I serve too frequently, he’s naturally suspicious of new recipes. But explaining such paradoxes isn’t my job, so I got back to cooking the stuffing. 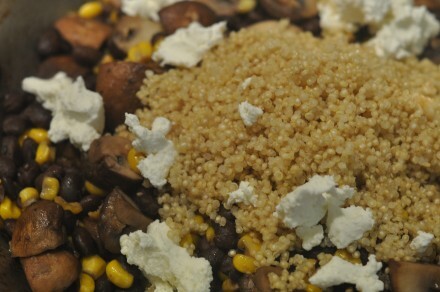 I sauteed the mushrooms for a few minutes, added in the corn and black beans, and finally mixed in the quinoa and goat cheese. Then I carefully spooned the mixture into the peppers. Making the chipotle sauce took about one minute: Toss the garlic, the chipotle, some salt and water into a food processor and blend. Add the cilantro and pulse until it is chopped. Pour into a 9 x 13 baking dish. The recipe called for baking the stuffed peppers for 15-20 minutes, but I was worried about making the peppers too soft, so I took them out after 5 minutes. 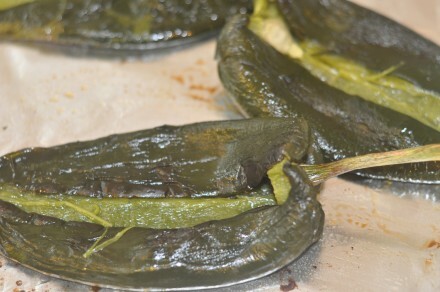 The result: All of the flavors (in the stuffing, the chipotle sauce, and the mild zing of the poblano itself) worked well together, and each bite brought a slightly different combination of tastes. 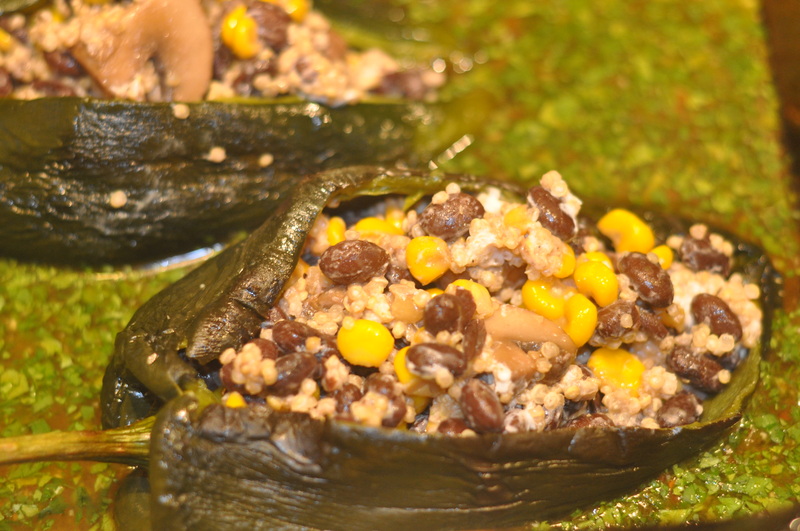 The black beans, corn, and mushrooms added texture to the stuffing and, along with the goat cheese, gave the peppers the heft they needed to be more than just a side dish. 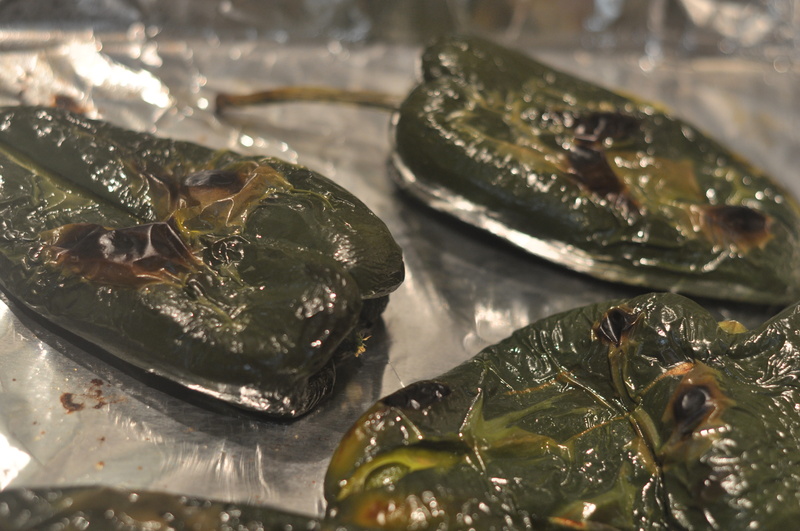 “They are definitely more substantive than Betsy’s Peppers,” said The Professor. He praised the flavor and gave the dish high marks for “interestingness.” His one complaint was that the peppers were too soft. Next time I’ll cut the initial roasting time to 10 minutes. In the meantime, you can see the full recipe here. ‹ Older Post What’s in a Grade?